Like a great many others, I was sad to hear of the untimely death, at the age of 65, of Professor Richard Holmes on 30 April 2011. In July 2008 I had the privilege of hearing him speak on the topic of ‘Doctors in the Trenches’ at a meeting of the Cheltenham and Gloucester branch of the Western Front Association. Afterwards we had a quick chat about Edie’s diaries and he asked me to send him details of the website - which I did. We exchanged emails and he was kind enough to say that he found the diaries wonderful and encouraged me to get them published, a goal that is now to be realised (see http://www.edithappleton.org.uk/Updates/publication.asp). 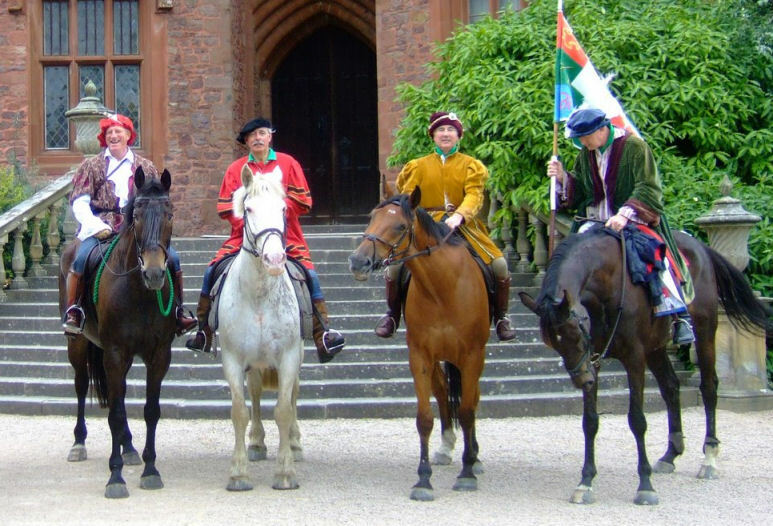 He also told me at that time that he was about to embark on The Henry Tudor Ride from Dale Castle in Pembrokeshire to Bosworth Field and here is a rather delightful picture of him and some friends at Powis Castle on 16 July 2008. Richard is second from the left. 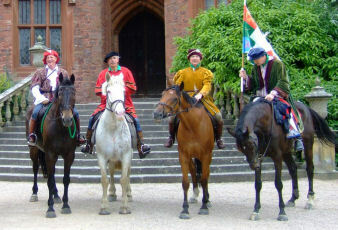 More details of the ride can be seen here: http://thehenrytudorride.blogspot.com/2008/07/henry-tudor-ride-adventure-begins.html.